Ratalaika Games has announced that Heroes Trials is coming to PS Vita, PS4 and Nintendo Switch next week. Heroes Trials will be released for PS Vita and PS4 on January 22 in North America and on January 23 in Europe. It will available as cross-buy and features 4 different trophy stack’s at launch. The Nintendo Switch version will release on January 25 in both North America and Europe. All versions will be priced at $5.99 / €5.99. Welcome to Heroes Trials! A dynamic and fast-paced adventure game with a trial system that takes you through more than 10 different tests that will prepare you for the final challenge. Clear them all and rise to the position of defender of your homeland… Or stay forever as a trainee! Explore your island freely but be sure to clear the trials on time. Want to be a speedrunner and beat the game faster than anybody else? The option is there if you want it. Not only that, but Heroes Trials will keep track of your times. However, if speed is not you’re your thing, with so many items hidden all over the island, you’re welcome to find them all. We also have achievements that can be earned and you won’t have to break a sweat in the process either! 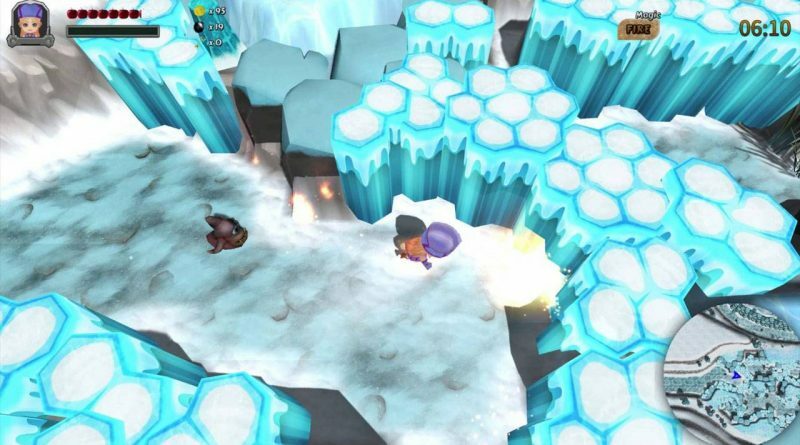 On top of all that, players can also expect to control two heroes with two different attack modes and combine their abilities to solve puzzles and defeat bosses. But at the same time, if you want to play the game as a top-down shooter from beginning to end, you absolutely can. But to round it all off, as well as the game’s story being told through a simple narrative that helps you understand your goals, there’s also a helpful navigation system and a fascinating soundtrack that will also invite you to spend more time with the game, just so that you can listen to the tracks maestro Benedikt Grosser has prepared for you. Optional top-down shooter mode that can be played from start to finish. An Island to freely explore. Support to record all players times. Puzzles to solve and bosses to battle. Heroes Trials brings the best elements of traditional RPGs and delivers a compact and intense experience that takes less than 4 hours to complete, but provides you with a satisfaction that can normally only be obtained with a longer game in the genre. Heroes Trials achieves that by excluding all repetitive quests, fillers, empty events and grinding.